Coffee stains on your desk or kitchen table are a paradigm of how complex the behavior of colloids inside evaporating drops can be. Deegan et al. [Nature 389, 1997] realized that the reason why coffee-stains have such a distinct ring-shape is due to a capillary flow towards the contact line. However, this effect might not always be the dominant one. For example, evaporating suspension drops on superhydrophobic surfaces show a radically different behavior and also the stains they left behind look very different. Still, evaporating drops dominated by the coffee-stain effect (as those you might find on your desk) are often influenced by many other phenomena. Among these are the spontaneous thermal gradients that generate Marangoni flows along the droplet’s surface, or the effect of surfactants and salts, which also may induce solutal-induced interfacial Marangoni flows. Although the presence of such flows have been reported, it is not clear which flow patterns might appear under which mechanisms. 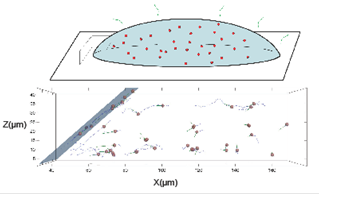 Unfortunately, most of the experimental work found in the literature is based on the analysis of dried stains, which are not necessarily correlated with the flows within the droplets. Although apparently simple, an evaporating flow involves several experimental challenges like its sensitivity to changes in the environment or the difficulty of tracking the three-dimensional trajectories of particles in the droplet, especially when the movement concentrates close to the moving droplet's interface (as occurs with Marangoni flows). In this talk I will review the physics of the problem and show you new experimental results on the very different scenarios that a simple evaporating drop of water containing polystyrene micro-particles can manifest. Alvaro Marin was trained as a Physicist with a Master in Statistical and Particle Physics by the University of Seville. He enrolled in the PhD program of the department of Fluid Mechanics and Aerospace Engineering of the Escuela Superior de Ingenieros de Sevilla, which ended in 2008 with a thesis directed by Prof. Barrero and Prof. Loscertales on “Electrohydrodynamics of Coaxial Jet Electrosprays”. From 2008 to 2011 he spent three years working in the Physics of Fluids group of Prof. Lohse in the University of Twente (the Netherlands) in very different topics involving impaling, freezing, evaporating, electrocuting and scalding liquid droplets. 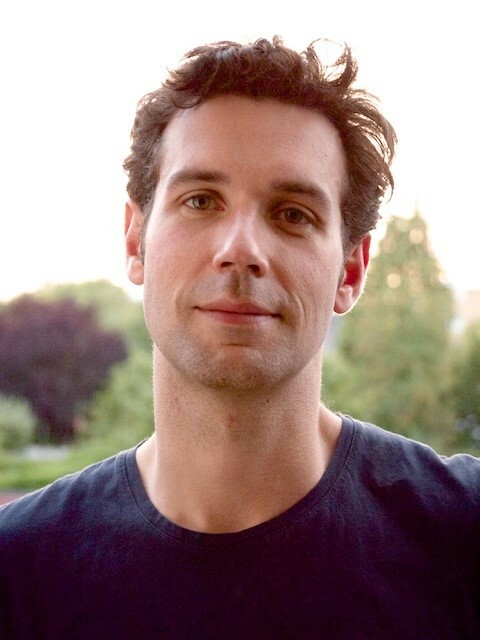 Since 2012 he works in the Institute of Fluid Mechanics and Aerodynamics in the Bundeswehr Universität in Munich (Germany) as a Research associate with projects on evaporating drops, acoustofluidics and suspensions dynamics in micro-devices.